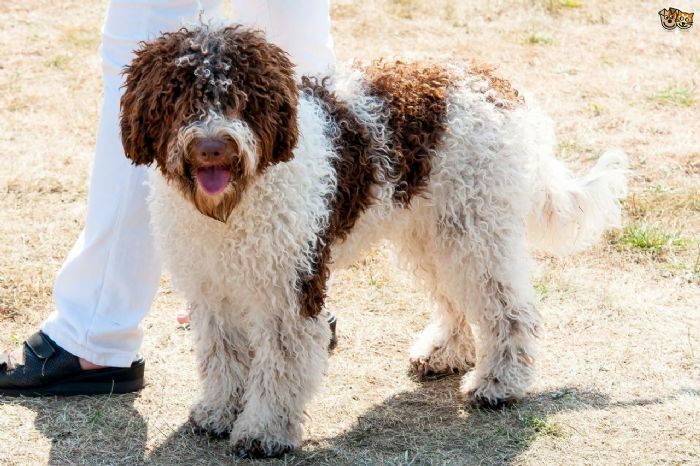 Lagotto Storage Disease (LSD) is a relatively new disorder found in the Lagotto Romagnolo breed. It is a neurodegenerative storage disorder and is inherited in an autosomal recessive way. A mutation in a single gene causing the disease has been discovered and there is now testing available that provides results as Normal, Carrier or Affected which assists and guides breeding decisions for responsible breeders. A staggering gait and uncoordinated movement are the first signs of this progressive neurological disorder. Involuntary eye movement may also be noticed. Dogs can show the first symptoms from 4 months or as late as 4 years old and further changes arise progressively (restlessness, depression and aggression). In affected dogs neurons and other cells accumulate storage material causing the symptoms and death of the cells. The dogs eventually require euthanasia.